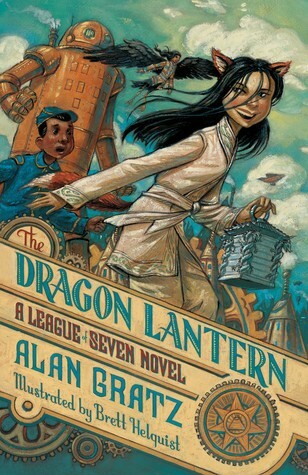 The Dragon Lantern, the second book in the A League of Seven series by Alan Gratz is a steampunk adventure for young readers that adults may liken to League of Extraordinary Gentleman. The book is illustrated by Brett Helquist, and the chapter heading images both highlight events in story while not spoiling readers for what’s to come next. The tale picks up where the last book left off with Archie Dent unsure of whether being one of the League of Seven is as easy as he’s been told. Archie, Fergus and Hachi have come together in order to fight the Mangleborn, monsters who humanity is fighting again, and things have gone a bit sideways at this point. They don’t see much of an improvement when the three heroes are obliged to take on separate missions. That puts Archie and his Tik-Tok servant Mr. Rivets on the trail of a shapeshifting girl who has stolen an ancient artifact called the Dragon Lantern, and while the group aren’t sure what it does, they are told its powers have something to do with Archie’s indestructibility. In the meantime, Hachi and Fergus must travel to New Orleans in search of Madame Blavatsky who may be the only person with information about the death of Hachi’s father. Dragon Lantern blends history and alternate paths it might have taken with the addition of large steam-powered machines, some of which are attempting to gain their freedom, such as Jesse James. Along their journey, Archie and the others meet people who help or hinder their quest and at the same time could be potential members of the League of Seven, among them General Custer, and Sings-in-the-Night, who was a victim of experimentation with the lantern and now has wings. With the group split up, the action is also divided between the different plotlines, and some readers may not enjoy that aspect of it as much, however it’s a genre standard to separate protagonists in order to advance the story and raise the stakes. 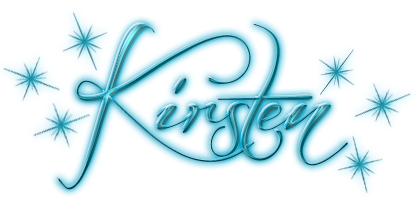 Young readers who like history, robots, and other things steampunk will enjoy a different take on the world, and adults will enjoy the story, creative retelling of events, and the fact that many nursery rhymes are actually codes which unlock puzzle traps and reveal the location of powerful artifacts.